Outline Of The Issues Raised From The December 5, 2014 USCIS EB-5 Stakeholder's Meeting By Mona Shah, Esq. and Yi Song, Esq. Article: Outline Of The Issues Raised From The December 5, 2014 USCIS EB-5 Stakeholder's Meeting. By Mona Shah, Esq. and Yi Song, Esq. by Mona Shah, Esq. & Yi Song, Esq. Overall the meeting was informative, but it did not remove the sense of disconnect between USCIS and the real business world. The program’s popularity was affirmed in the opening lines, when the Director stated that in Fiscal Year 2014, the EB-5 Program has brought approximately $5.5 billion to the US economy! Approximately 11,000 I-526 petitions are pending. This number accounts for a quarter of ALL I-526 petitions filed since the inception of the Program in 1990. There are 600 approved regional centers in the United States. 230, or 40% of the regional centers were approved from Fiscal Year 2013 to 2014! USCIS has terminated 7 regional centers for failing to comply with the I-924A annual filing requirement. In an attempt to clean up, USCIS issued Notices of Intent to Deny (NOID) to 28 regional centers, as “they are no longer promoting economic growth.” The NOID may entail projects that failed half way, such a Chicago Convention Center or the South Dakota regional center that sponsored the beef packer project. More than 11,000 I-526 petitions have been filed with USCIS, an increase of 75%. 270 I-924 regional center petitions were filed, a 34% increase; and 2,500 I-829 petitions were filed, an increase of 106%! The statistics indicate that more projects have advanced to the I-829 stage when the job creation is supposed to materialize. The processing time was undoubtedly the “topic of the day”. The current I-526 processing time is 14.3 months; I-829 processing time is 6.9 months and I-924 regional center processing time is 8.5 months. One significant (and expected) update is that USCIS have begun to carry out site visits and I-924 regional center interviews. The site visits are not uncommon in other business visas such as L1 intercompany transfer visas. USCIS announced the typical source of funds RFE triggers. In an investor’s I-526 petition, the following scenarios will result in a Request of Evidence (RFE), which would delay the adjudication of that petition. Source of the collaterals: which occurs when an investor uses a director’s loan from his or her company and the loan is secured by his shares or his property. In some cases, USCIS is now requesting the investor to prove the initial source of funds acquired to purchase the shares or the property. 5 years income: When parents’ gift money to their children for EB-5 investment, USCIS strictly enforce the regulations that 5-year income must be shown. The accumulative income is not an easy way to prove the source of funds. Third party transfers: Many countries have currency restriction rules, USCIS reminds the petitioners to fully document the currency exchange process and the funds transfer route. The common practice of currency transfer is to use multiple friends and facilitators to exchange and wire the funds or to use one entity that has US dollars to make a one-time exchange. USCIS will further strengthen their partnership with other federal agencies. USCIS has signed a Memorandum of Understanding with the Securities and Exchange Commission (SEC) to share general information with the Commission. Though it was stressed that the SEC cannot make case specific inquiries in the petitions submitted to USCIS and the SEC is not involved in the adjudication of the EB-5 petitions. The role of the SEC is to safeguard the investors, to rule out the “bad actors” and to maintain the capital market integrity. USCIS has contracted with the Department of Commerce to commence a study of the overall economic impact of the EB-5 Program. The study is expected to be released by November 2015. Positive results (expected, especially with $5.5 Billion raised this fiscal year) will no doubt strengthen the mission to ensure this program becomes permanent. The authors applaud USCIS’ efforts to reduce paper filing and establishing the Electronic Immigration System (ELIS). However, the system has proven to be fraught with errors and complications and therefore remains unused by the vast majority of EB-5 practitioners. So far only 21 I-526 cases have been filed through the electronic filing system and 14 project “deal packages” have been uploaded. Stakeholders stated that the system is not reliable or user friendly. We should be glad that it is useable at all. Unlike the HealthCare.gov, ELIS did not crash on the first day of its launch. An achievement on its own! The May 30, 2013 Policy Memorandum created confusion over regional center filing. The question of whether to file a regional center with a hypothetical project or with an exemplar petition is one practitioners have been grappling with. The consensus has been that the exemplar filing does not necessarily save time for the developers and the investors. To the contrary, the exemplar filing has been shown to prolong the processing time by an additional year, if not longer. Seasoned EB-5 practitioners have figured out the most efficient way to obtain regional center designation and I-526 approvals under the guidelines of the May 30 policy memo. USCIS’ suggestions regarding the “test case” lack practical perspectives. The suggestion is to file a “test case” under one project. Once the first I-526 investor’s petition is approved, the rest of the investors under the same project would receive deference. The advantage of the test case would be to save USCIS resources to issue multiple project related Request for Evidence (RFE). However, USCIS have shown a total lack of understanding for the business world. Many projects cannot wait 2 years to receive the EB-5 investment. Further, this suggestion does not take into account the fact that investors from mainland China may face retrogression. Each day wasted in filing translates to hundreds of people queuing up in front of the other. USCIS confirmed that after the I-526 petition is filed, minor business adjustments rather than material changes would be permitted. The changes need to be documented and evidenced in the I-829 petitions. The petitioners must show that they are in “good faith” at the time they file the I-526 petitions. Despite the changes, the I-829s will be approved as long as the petitions meet the requisite rules. USCIS declined to answer a question about a project that is sold prior to the adjudication of the I-829 (as in many condominium projects). The “changes” were discussed in the “renting” of a regional center scenario. USCIS for the first time clarified that the regional center cannot “split” I-526 filings. Lately the practice has been to rent an existing center while their own is pending designation. Once approved, the new regional center would move the remaining I-526 investors from the rented center to their own. The said scenario is confirmed to be not acceptable by the USCIS. There is no mechanism to transfer the I-526 cases. The suggestions offered by the Service were not very practical, i.e. the cases filed under the existing center should be withdrawn and re-filed under the new regional center. This issue has not been clarified by USCIS earlier. Transferring cases from different regional centers has become common practice of many regional centers because of the prolonged processing times. The authors urge USCIS not to apply the rules retroactively to petitioners who have already engaged in such practice before the rules are clarified. USCIS did not provide clear answers to the question of how long direct jobs need to be sustained if retrogression occurs. They did state that jobs need to be created and last for a duration of time that would persuade the Service they were permanent. Obviously USCIS would take the job position into account. With the possibility of retrogression, the EB-5 process could be as long as 7-8 years. It is highly unlikely the direct jobs need to be maintained that long. With regard to age-out children, USCIS continue to consider expedited cases if the criteria is met. However, should retrogression occur, requests to hold back the I-526 processing to prevent aging out would not be considered. USCIS did not express a clear view on how they would handle the age-out cases if retrogression should happen. The EB-5 Program is no longer an obscure immigration program, it has become the most effective financing mechanism that attracts Forbes 100 developers and has raised $5.5 billion USD this year per se. The authors observed that the number of students applying for EB-5 investment in the past few years have surged. The number of Chinese students studying in the US has grown tremendously. In 2009 less than 100,000 student visas were issued. In the 2014-2015 academic year, there will be estimated 400,000 Chinese students studying in the US. The authors learned anecdotally that the top boarding schools in New York City all have Chinese staff specifically designated to review applications from Chinese students. This is a new phenomenon, unheard of only a few years ago. Yi Song, Esq. is an attorney at Mona Shah & Associates in New York City. Yi is a dual licensed attorney in the US (New York State) and in People’s Republic of China. Before joining Mona Shah & Associates, she worked at a securities litigation firm in Manhattan. She clerked at China’s highest court – the Supreme Court of People’s Republic of China. At Mona Shah & Associates, Yi practices EB-5 law and securities law and works on many successful EB-5 capital raising projects. She received her LL.B. degree from Beijing Foreign Studies University and she is a graduate from Georgetown University Law Center in Washington, DC. Her articles on EB-5 and securities law are published by LexisNexis, AILA, eb5info.com, eb5investors.com and ILW. 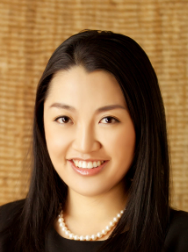 Yi serves on the advisory board of eb5investors.com Magazine Chinese Edition and is a speaker on American Immigration Lawyers Association (AILA) EB-5 Conference. She writes a column for the Chinese newspaper Legal Weekly on American law and society. Yi is a native speaker of mandarin Chinese. She speaks fluent English and basic French.